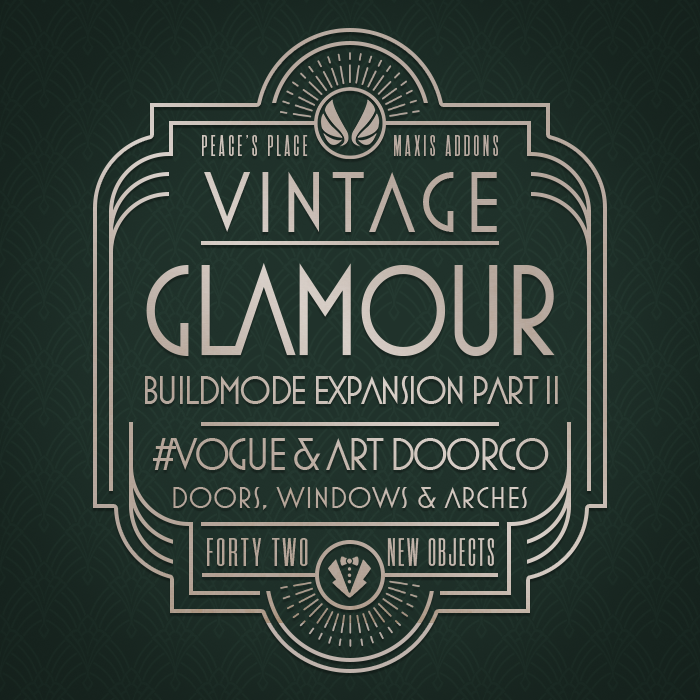 The last part of my Birthday Upload Spree is the final part of my Vintage Glamour Buildmode Addon (Part One here). 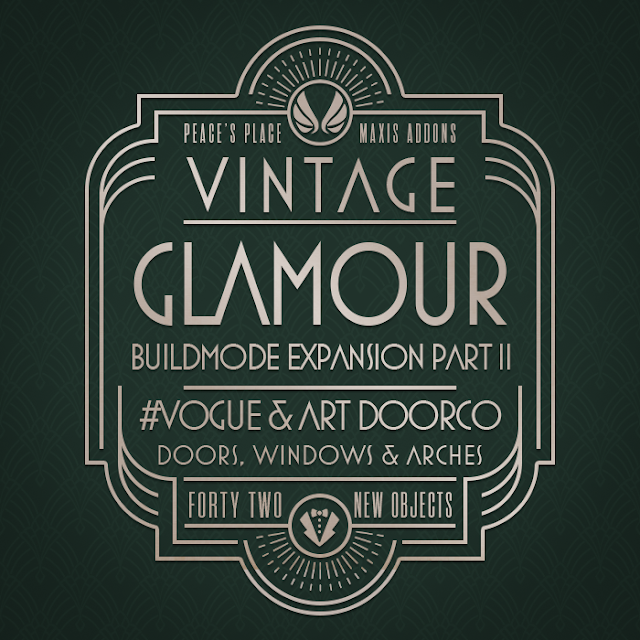 Part Two includes all the items made from the 2 original buildmode items from the SP, Art Doorco Double Door, and the #Vogue window. 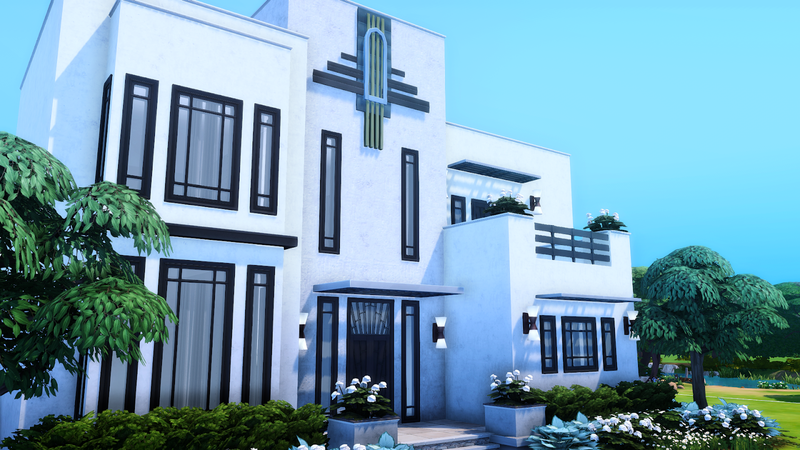 I have added new colours like I did with Part One and added a whole bunch of new content for your Art Deco Homes (or just really stylish builds). 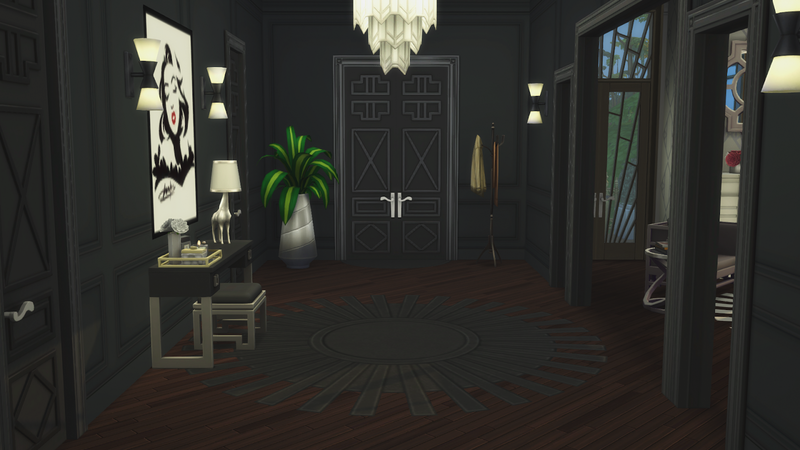 I personally love the Vogue doors and quite proud of what I did. 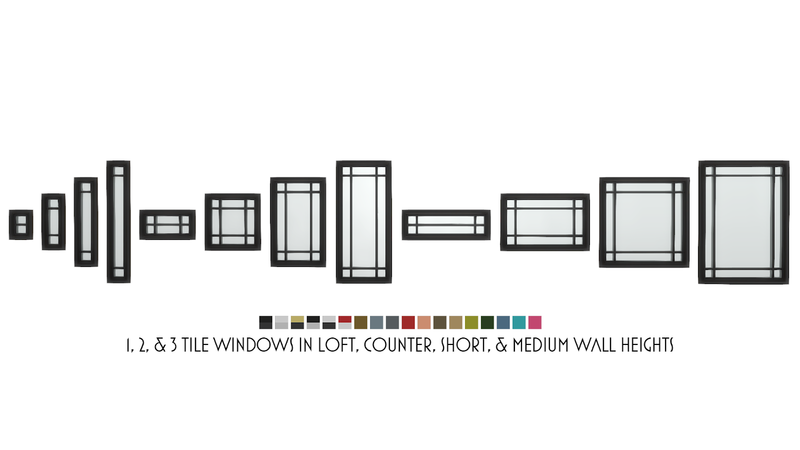 Second favourite is definitely the Vogue Medium Arches with the clerestory window above. Textures are linked so don't delete any of the package files with "texture" in the name. 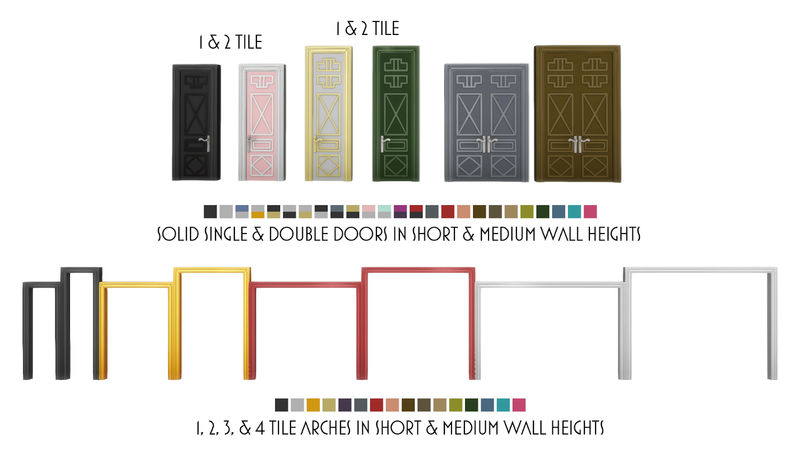 Some of the arches have less styles then the doors simply because the colours overlapped. There are 2 download links. Choose your preferred download location to download archive. To install, extract the archive using WINZip/WinRAR/7Zip/Unarchiver and place the folder/s or package files in your mods folder, then look for them in your game. If you are having issues check out my Installing Content help page. I agree that this was a surprise - a very welcome one! I do hope you enjoyed your birthday. Thank you, again & again, for all you do for the simming community. This set is so wonderful! I loved part 1 and part 2 was def a surprise! Thanks for all of your wonderful cc!!! Hello, I was wondering if you could help me out with something in regards to custom content. My game just updated itself and now all the CC I've downloaded from you and others just says "**DEBUG**" in the name and description. It all still works and I can place items and everything; just wondering if you knew a way to fix this since you seem to know the inner workings of Sims. If not it's totally fine, I'm just seeing if I can fix it. Love your work!! Awesome, thanks for the clarification. And happy belated birthday! Hello! Please, which one is vogue and which is doorco? Thanks! 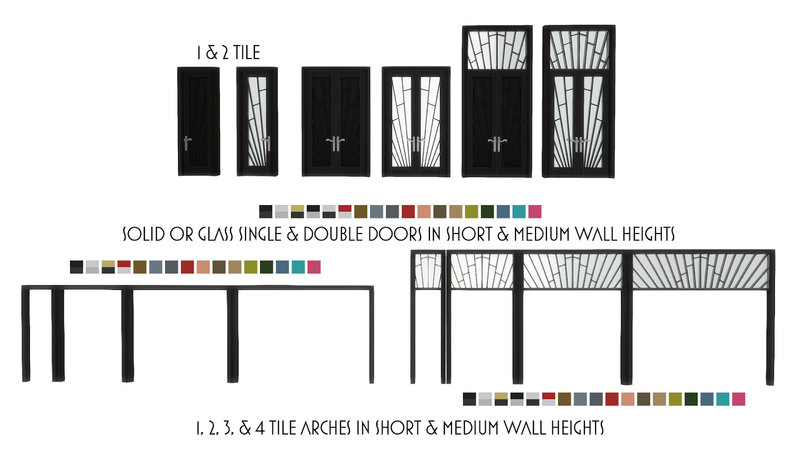 If you read the introduction up the top, the Doorco is the door set with matching arches, and Vogue set are what remains.